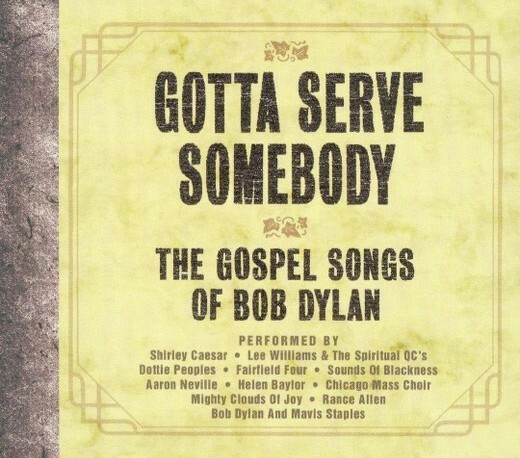 MVD Reissues “Gotta Serve Somebody: The Gospel Songs of Bob Dylan” on DVD | Available NOW | WATCH VIDEO! Marking the fifteenth anniversary of GRAMMY-nominated album ‘Gotta Serve Somebody: The Gospel Songs of Bob Dylan,’ MVD Entertainment will reissue the film of the same title on February 9. ‘Gotta Serve Somebody: The Gospel Songs of Bob Dylan’ features an intense Bob Dylan performance from 1980 of “When He Returns” as well as powerful performances and interviews with Aaron Neville, Shirley Caesar, Fairfield Four, Mighty Clouds of Joy, and Dottie Peoples, reflecting on their faith and connections Dylan’s Christian music.